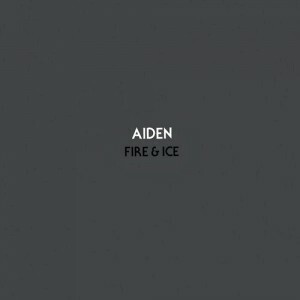 While for Australia’s advertising junkies ‘Fire & Ice’ might sound a little like a coffee commercial at the moment, for former British ‘X Factor’ star Aiden, it sounds very much like the latest song to be lifted from his forthcoming self-titled EP. As mentioned previously on the site, Aiden was formerly known as Aiden Grimshaw, but has dropped his surname for this latest project and picked up a whole new electronic sound that, while a little experimental, pushes the boundaries of good pop. This is a little easier in tempo than its predecessors ‘Satisfy Me’ and ‘The Cleaner’, but we get the feeling listening to this that casting off the expectations and (dare we say) puppet strings of the record company might have been the best career move Aiden ever made. However not liking this recent trend of first names only (yes Kylie, Rihanna and Madonna did it but not everyone needs to) would of prefered for example Nathaniel to stay with the Willemse bit as well..